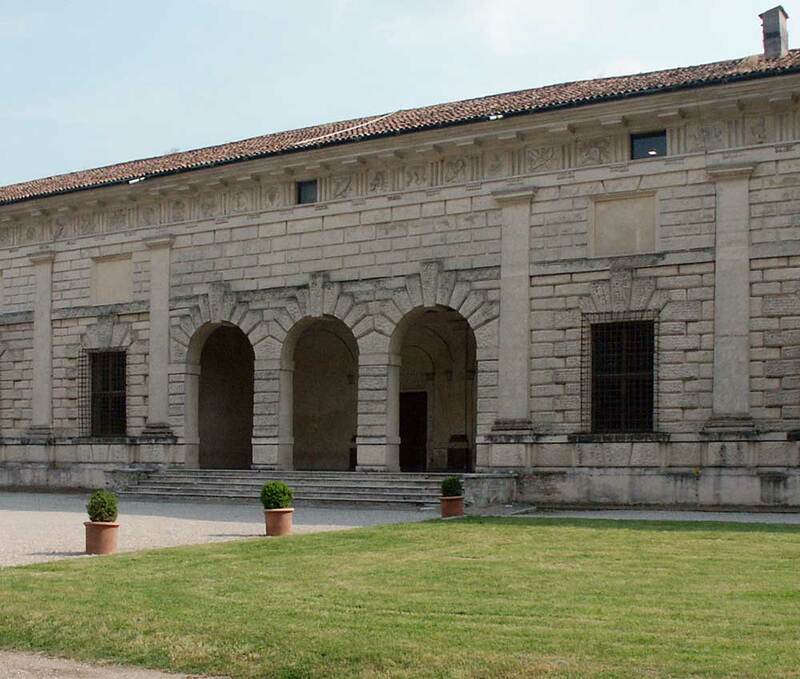 In an era when artists of all kinds came to work more and more for secular courts now imbued with more power and wealth, Gonzaga of Mantua's country villa epitomizes the opulence sought by the elite. Outside, the palazzo follows the example set by other great architecture of the period, influence by classical uses of columns. 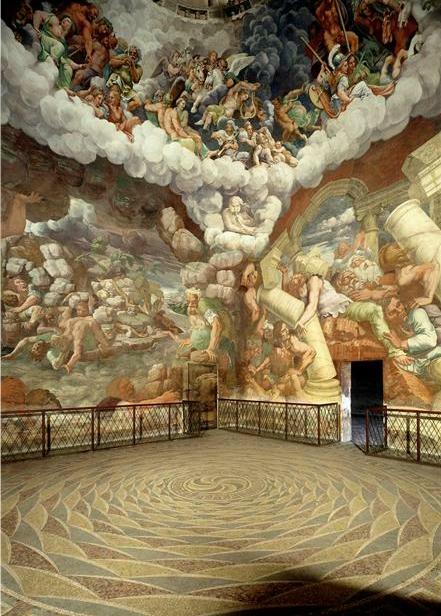 On the inside, a huge mural covers one room, called the Fall of the Giants from Mt. Olympus.